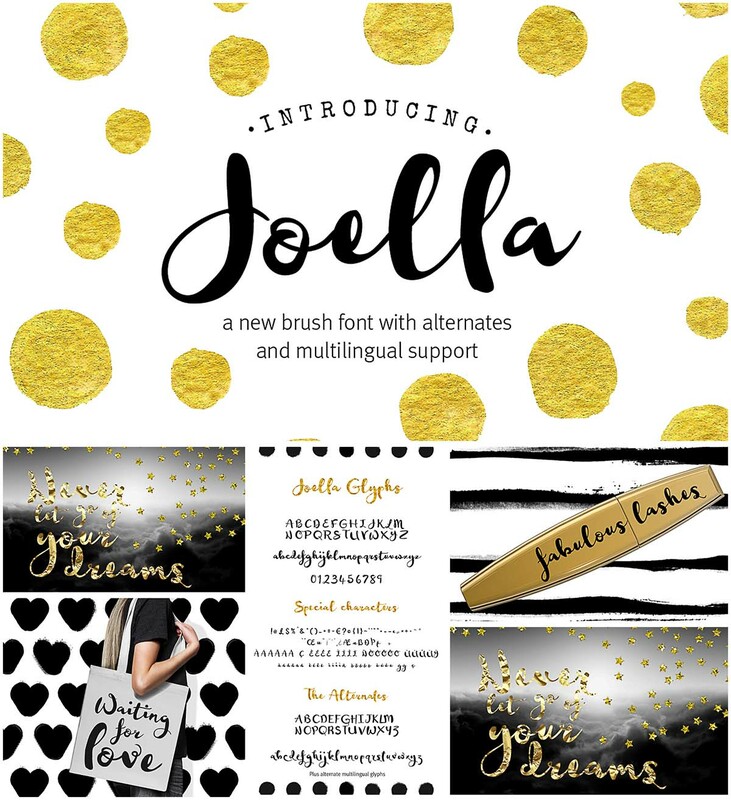 Introducing Joella font- extremely versatile and can be used for such things as beauty, make up, typographic designs for t-shirts and fashion, etc, organic products or any kind of food and drinks products. File format: .otf, .ttf for Photoshop or other vector software. 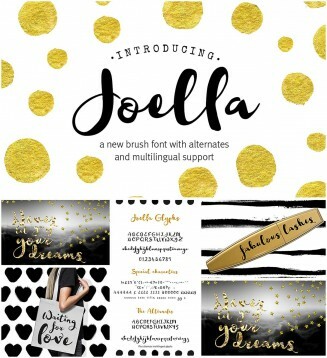 Tags: brush, calligraphy, foil, font, paintbrush, script, typography, wedding.